Girl Scouts selling cookies isn’t just a great American tradition, it’s a multi-million-dollar industry. To win a larger slice of this market, Weston Foods has cooked up a stellar experience for families and Girl Scouts to manage the cookie sale, thanks to IBM® Services and Microsoft Azure Cloud Services. As one of just two officially licensed bakers of Girl Scout cookies – a market with annual revenues topping USD 800 million – Weston Foods knows that competitive differentiation is vital. To outshine the competition, Weston Foods is serving up a sweet online ordering experience, with a sprinkling of support from IBM Services and Microsoft Azure Cloud Services. When you open your front door to find Girl Scouts selling cookies on your doorstep, you can’t help but buy one or more of the flavors. Not only will you get to enjoy a delicious treat, you’ll also be taking part in the largest girl-led entrepreneurial program in the world that stretches back over a hundred years. Behind the girls’ bright eyes and colorful uniforms, the wheels of big business are turning. Girl Scouts sell USD 800 million of cookies every year, and Weston Foods has the privilege of being one of just two officially licensed Girl Scout cookie bakers. To outpace the competition, Weston Foods aimed to deliver a seamless online ordering experience. Demand had grown in recent years, and Weston Foods recognized that its existing online ordering system was struggling to keep pace with the rising numbers of users and orders. The problems became particularly evident on Sunday evenings. Right before the Girl Scout councils’ weekly cut-off time for placing orders, and when most of the troop leaders attempt to order cookies simultaneously, the system receives up to five orders per second. 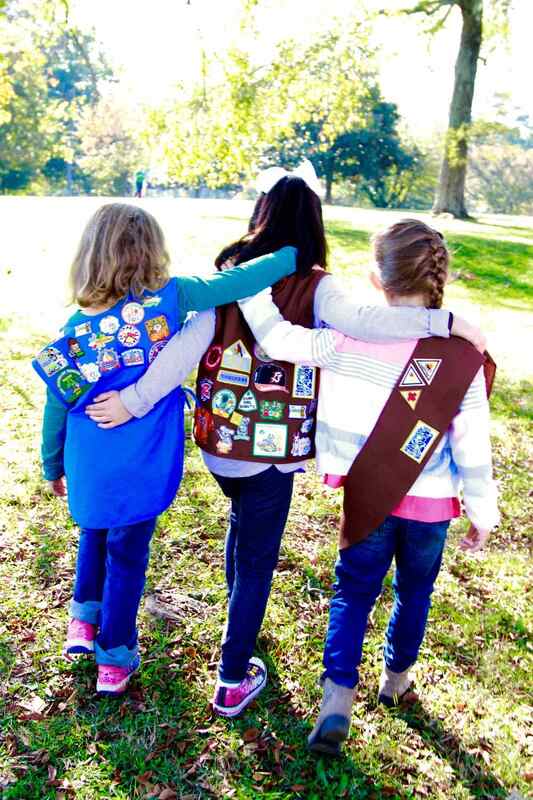 Some Girl Scout councils set up booths from which girls can sell cookies in high-traffic locations – such as outside a Walmart or at a train station. Tremendous spikes in system usage also occur when councils release these booths for requests and allocation on a first-come-first serve basis. In an effort to preserve the Girl Scouts’ orders while winning new business, Weston Foods needed to provide a seamless, responsive online ordering experience for the girls, volunteers and council staff during the highest peaks in demand. Since the cookie selling season is short, abandoned orders could translate into missed opportunities and lost revenues. For help crafting a recipe for success, Weston Foods engaged IBM Services. “We felt that IBM was a perfect fit for our business,” says Mary Alice Callaway. “For starters, both IBM and Weston Foods are leaders in their industries, and both have been in business for over a hundred years. Second, our companies share the same ethos – IBM CEO Ginni Rometty is a grown-up Girl Scout. First, IBM Services stabilized and improved the performance of the existing order management system, enabling IBM and Weston Foods to focus on developing the new solution. Next, IBM and Weston Foods kickstarted their digital transformation by developing a new order management system built on Microsoft Azure. The solution was designed according to IBM Design Thinking methodology and workshops, which focus on achieving a superb user experience. The implementation followed Weston Agile methodology, which focuses on rapid time-to-value, with IBM best practices in project tracking and reporting using Microsoft Visual Studio Team Services. Thanks to the cloud deployment, Weston Foods can configure the new system to auto-scale based on resource demand. For example, if CPU usage stays at 80 percent for five minutes, Microsoft Azure can seamlessly spin up another machine to share the workload. Michael Hesse comments: “The Girl Scout cookie business is unique, so any e-commerce solution would need to be adapted to fit our requirements. We opted for a custom build based on Microsoft Azure Cloud Services because that option offered the greatest flexibility and excellent value for money. Furthermore, the decision fitted neatly within our existing roadmap. The new solution features a responsive web ordering system with multiple form factors for optimal user experience, a native mobile application for girls using Android and iOS, a native mobile application for girls and cookie volunteers, a sales and marketing suite, plus an integrated content management system. As part of the IBM Services Application Management Services offering, the IBM team is helping Weston Foods to monitor the new system’s performance, ensure that key processes are running smoothly, and address issues before they impact users. IBM also runs the helpdesk, supporting people ordering cookies if they encounter problems. It’s early days for the new platform, as councils are now ordering their first batches of cookies, but the initial feedback is promising, with users saying how much easier the ordering process has become. The new system is expected to support some 200,000 users during the peak season. The transformational initiative has won the Weston team recognition internally and beyond, bagging the IBM Innovation and Delivery Excellence Award for Digital Strategy and Roadmap in 2017. Weston sees the success as part of a broader transformation of its business, as Mary Alice Callaway explains: “We want to be the best in our field, which means delivering better value to Girl Scouts and volunteers. We are transforming our business to help them run their sale more effectively. The ordering system is just the beginning, and we have lots of exciting ideas in the pipeline. We’re on a quest for continuous improvement of our business. Weston Foods is one of North America’s leading providers of fresh and frozen baked goods. Founded in 1882, the company operates in more than 50 locations across Canada and the U.S., and employs over 5,000 people. To learn more about IBM Services, please contact your IBM representative or visit: ibm.com/services/enterprise-applications. To learn more about our cloud services for Microsoft Azure, visit: ibm.com/services/microsoft. Produced in the United States of America, December 2017. IBM, the IBM logo, and ibm.com are trademarks of International Business Machines Corp., registered in many jurisdictions worldwide. Other product and service names might be trademarks of IBM or other companies. A current list of IBM trademarks is available on the web at “Copyright and trademark information” at ibm.com/legal/copytrade.shtml. Microsoft, Windows, Windows NT, and the Windows logo are trademarks of Microsoft Corporation in the United States, other countries, or both. This document is current as of the initial date of publication and may be changed by IBM at any time. Not all offerings are available in every country in which IBM operates. The performance data and client examples cited are presented for illustrative purposes only. Actual performance results may vary depending on specific configurations and operating conditions. THE INFORMATION IN THIS DOCUMENT IS PROVIDED “AS IS” WITHOUT ANY WARRANTY, EXPRESS OR IMPLIED, INCLUDING WITHOUT ANY WARRANTIES OF MERCHANTABILITY, FITNESS FOR A PARTICULAR PURPOSE AND ANY WARRANTY OR CONDITION OF NON-INFRINGEMENT. IBM products are warranted according to the terms and conditions of the agreements under which they are provided. The client is responsible for ensuring compliance with laws and regulations applicable to it. IBM does not provide legal advice or represent or warrant that its services or products will ensure that the client is in compliance with any law or regulation.